Raise awareness for your community sports club with a sausage sizzle at Decathlon.  The DecaGrill is a sausage sizzle that is organized for local sporting communities to help raise funds for their club. The BBQ is operational between the hours of 9am to 4pm, on weekends. 1 - Read the Terms and conditions below. 3 - Send your date preferences to tempecommunity@decathlon.com with subject line - "Decagrill@Tempe for **insert club name** "
How much can you charge for the food you sell? What and how much food to purchase? As a community sport club, the Decagrill is a chance to meet and interact with Decathlon members who are all passionate about sport. It will be an opportunity for local sporting communities to help raise funds for their club. For an all day event we suggest having around 6 people to help run the BBQ, with no less than 3 people operating the stall at anytime. This allows for one person to handle the money, one person to cook/handle food (changing gloves between the raw and cooked food) & one person to serve customers per every 2 hour slot. However, it is only a suggestion. Clubs should aim to have enough people for the event to run smoothly. To level the playing field, the food will have a set price. It will be $2.50 for the sausage (+/- onion) and $2 for a drink. WHAT AND HOW MUCH FOOD DO CLUBS NEED TO PURCHASE? Cash float: It will be handy to bring $50 worth of $2/$1/$0.50 coins, and $50 worth of $5 and $10 cash notes at the beginning of the event so that you can give people their change. 1) The above quantities are only recommendations. Decathlon is not responsible for overstock. 2) Everyone that volunteers on the day is required to have read the food safety tips. Contact us at tempecommunity@decathlon.com to sign up!